In the second article of our anxiety series, we take a look at a number of ways to manage the condition. 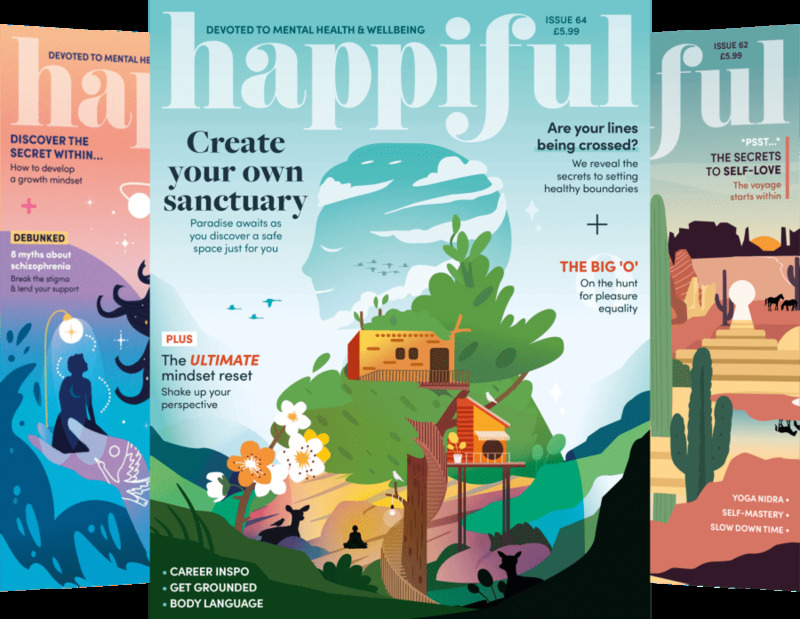 Hypnotherapy Directory member Anne Morrison shares her eight top tips to manage and beat anxiety when it arises. This sounds simple but there are specific breathing techniques that can help. The 7/11 breathing technique can be very effective – breath in for the count of seven and out for the count of 11. You may need to build up to this. There is an excellent book by Richard P Brown and Patricia L Gerbarg called The Healing Power of the Breath which covers a number of different techniques and includes a CD. This can be a happy memory from a long, long time ago or something you have created. It is a pleasant place where you can also feel safe and secure. You can practise going to this place every day and when you start to worry say ‘stop’ to yourself and then visit your special place. What or who does it sound like? Where do you hear it in your head? If it is fast, try slowing it down and vice-versa, see which helps most. Does it remind you of someone? Often our ‘worry’ voice can sound like a parent or someone from our past. Change the voice in some way that makes it less powerful. You could even make it really quiet. It is trying to help you, though it may not seem like it at the time. What is it trying to help you do or avoid? Teach it how you would like to be thinking and responding about these things. Steve Andreas has written a couple of lovely books about changing your negative self-talk. What advice would you give to your best friend who was worrying and anxious about those things you are finding overwhelming? Then think how you can apply this advice to yourself. The ‘what if?’ question and the associated thoughts of how awful or horrendous things would be if ‘it’ happened lead to a spiralling cycle of unhelpful thoughts. Seeing your worry written down can help you take a step back and think more clearly. Then apply the suggestion in number five above and write down your solutions as to how you could handle or respond to the situation you are worrying about. Imagine you are standing on a bridge over a stream and watching your worries float down stream, away into the ocean where they will sink to the bottom never to be seen or heard of again. 8. Often anxiety is due to a sense of overwhelm. This next suggestion is based on the work of Dr Stephen Covey. Draw a diagram as shown below. 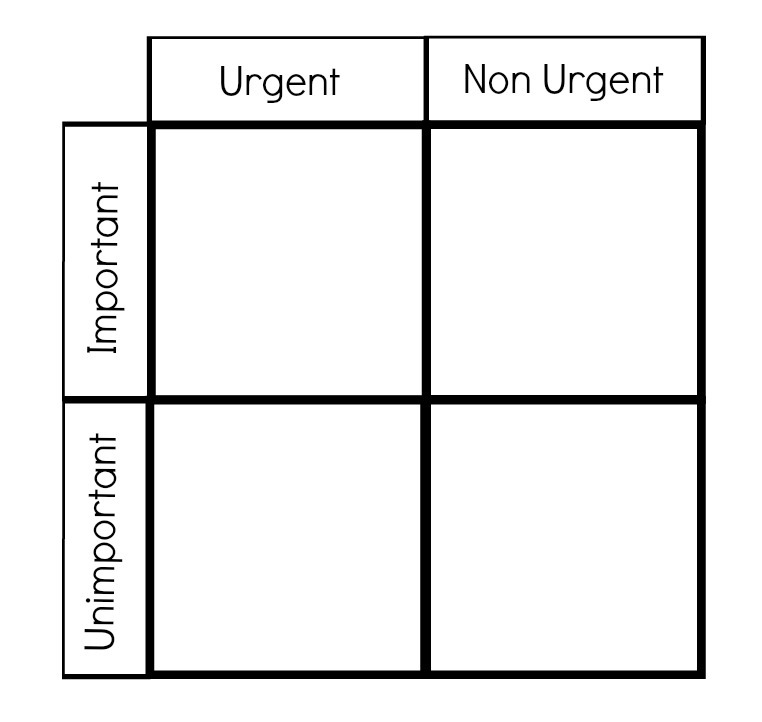 Write those things you consider important and urgent in the top left box; important but non-urgent in the top right and so forth. You can then have a better idea of your priorities and feel more in control of the choices you are making. Hypnotherapy can support those with anxiety by seeking out the root cause and changing the individual's perception of it. 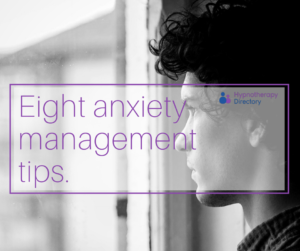 For more information, take a look at our hypnotherapy for anxiety fact-sheet.